- Using Ableton and direct monitoring via TotalMix Loopback giving me approx 144 samples latency all the time. - i use the latency fixer from ES to compensate the synthesizers extra latency. I have one latency fixer on each of the Midi track with the USAMO plugin. - I record audio with Monitor set to 'off' all the time. When i record the audio from the midi notes played via the USAMO, the audio is not always bang on the grid. Slightly before and slightly after. We are talking less than 1ms but still, how can i get this to be on the grid all the time ? It's quite possible that the remaining jitter is down to your synths' response to MIDI. OK, thank you for your response ! If it's less than 1ms, then I wouldn't worry about it. It's practically imperceptible. Is it possible that the jitter comes from the KENTON Pro MKii ? It's possible. That, and/or the SH101's MIDI input. You'd be better off driving the SH101 with CVs directly generated in software (e.g. via Silent Way). I cant find the ES-4 anywhere to buy, is there any reason ? I am interested in connecting SPDIF and replace the kenton with the ES4 that would solve my problem. The ES-4 was replaced by the ES-40. I managed to get a ES4 this evening. However the plugin doesnt show up in my Ableton Live 10. Any idea what's going on ? Sorry for posting so many messages but here is my last question ! I have a pro one and a sh 101. I want to use the ES-4 to control both synthesizers but as you know we cant change the channel on those synth. 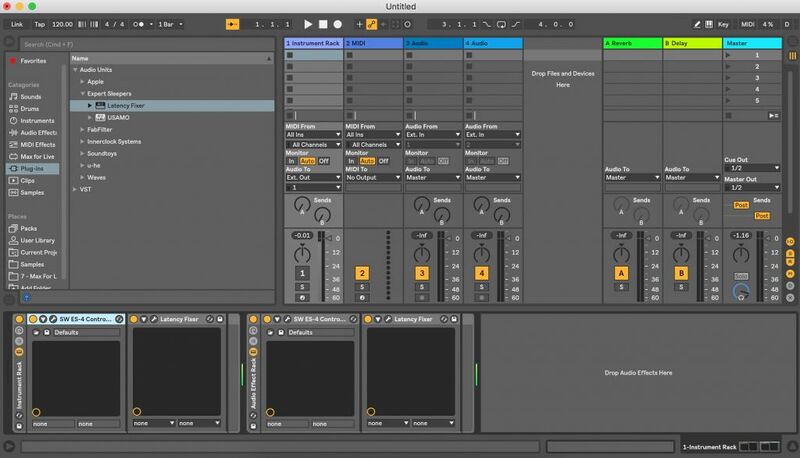 How can i control both on Ableton ? They will need two different calibration. I assume in the plugin i will be able to choose the output of each cv out. Do i just need to put two plugins (similar to usamo) ? If you're controlling them by CV from the ES-4 Controller, you just need one plug-in, and make use of the two MIDI/CV sections in there. OK noted. But in that case how would you compensate with the record latency of the two different synthesizers ? With the USAMO, i have two different plugins setup with two 'Latency Fixer' to adjust the audio to be on the grid. You could shift the MIDI itself going into the plug-in. Or you could try using two plug-ins, with a Latency Fixer in between. The one has to feed into the other though - you can't just put them on two tracks both outputting to the SPDIF. 1) So i create a Midi track and put the ES4-Controller plugin. 5) on the same Midi track i put another ES4-Controller plugin to control (out 2 and gate 4), as a chain ? 6) then followed by another Latency fixer ? 7) which would allow me to adjust the pro one hardware audio delay ? 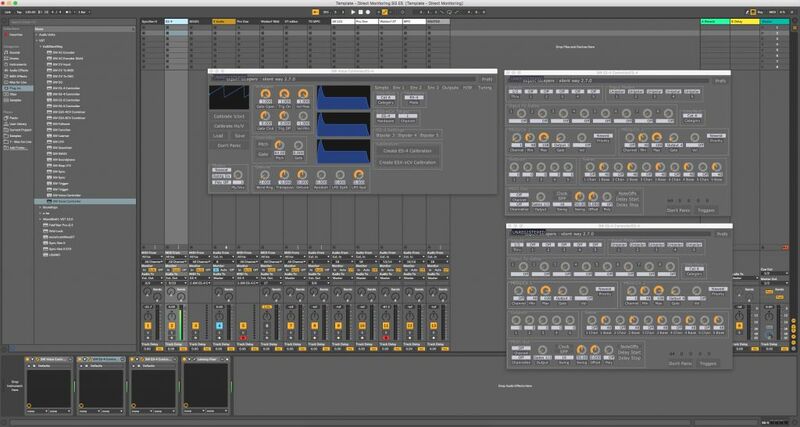 Do you have a screen shot by any chance on Ableton ? Obviously this is an example here..... I didnt set up the ext.out to SPDIF yet. Something like that. Honestly, I've never considered this before. You'll need to experiment. Hi i managed to play with the devices and i am playing my two synths separately. All good. However it appears i cant go down very much in the octaves. How do i adjust this ? Edit: when i play C3 on my midi keyboard it plays a C2 on my synthesizer. I did the calibration via the HW ES-4 calibration (not the V/Oct one). Here is a screenshot of my setup. Basically when i play i C2 on my midi keyboard, it plays a C0 on my Pro One. My Pro One is correctly tuned. Hey guys just got my USAMO. Trying to purchase a licence for it. I don't see it in your list of products in your store. Please advise. Downloads page > download plugins > authorise serial from there.